We humans tend to pride ourselves on our ability to adapt, but bacteria have been beating us at this game for billions of years. Our microbial brethren have carved out a niche in some of Earth’s most hostile environments, from deep sea vents to Antarctic lakes. Some hardy bugs can even survive in an upper layer of our atmosphere called the stratosphere—where a recent paper suggests they may have the ability to impact our weather, our crops, and even our health. Our understanding of atmospheric microbes is still developing, with much of the research to date focusing on the troposphere, the layer we live and breath in. In 1979 Russell Schnell, now deputy director of the Global Monitoring Division of the National Oceanic and Atmospheric Administration, wondered why tea plantations in western Kenya held a possible world-record for hail. He found that the plant pathogen Pseudomonas syringae, which was kicked up into the air by the people picking the tea, was partly to blame, because ice crystals form more readily around the tea-loving microbes’ membranes. Evidence for this process—called bioprecipitation—has since been found around the world with a number of different microbial culprits. Recent research has shown that microbes can impact cloud formation and coverage and even the brightness of the sky to a surprising degree. The lower atmosphere is crowded not just with rain-makers, but organisms that bring disease wherever the winds blow them. As climate change alters weather patterns worldwide, there’s growing interest in quantifying the effects of these bugs. But fundamental data is still lacking. “We still don’t, as scientists, have a really good budget for the amount of biology in our atmosphere,” Daniel Cziczo, a professor of Atmospheric Chemistry at MIT, told Earther. This is because there’s a lot of air, and much of it is hard to get to and sample without any contamination. “There’s a shortage of available systems for scientific experiments, whether it is making collections or performing controlled exposures of biological specimens,” David Smith, a senior microbiologist at the NASA Ames Research Center, told Earther. And if we know not-enough about the troposphere, we know even less about the stratosphere, which begins at altitudes of about 33,000 feet in mid-latitudes. We do know, however, that even in the stratosphere’s thin, dry air, where temperatures can dip as low as -60°F (-51°C) a small but hardy cohort of microbes are surviving, as Priya DasSarma, a research scientist at the University of Maryland Medical School points out in a new review paper. The idea that microbes can be spread far and wide through the atmosphere isn’t new—research from the 1990s, for instance, shows that bacteria hitch a ride from Africa to Florida every summer on mineral dust from the Sahara. And long-distance transport is more efficient at higher altitudes thanks to the presence of jet streams, the fastest air currents on Earth. But Cziczo thinks the risk raised by the new paper—that an upper atmospheric highway could be fast-tracking diseases around the world—is overstated. He thinks we ought to know more about the lower atmosphere before we start worrying about what’s happening higher up. “[This] seems like a few steps into the future for where we’re at,” he said. Christner agrees that while probably not an immediate concern, the stratosphere is a “viable means” for pathogens to move around, to be carried from one continent to another. He suspects that plant (not human) pathogens would be more likely to be transported, since there are so many more of them. All of this emerging research takes on new urgency in light of climate change: In a stormier world, more microbes will get swept aloft into the lower atmosphere by wind. From there, some will reach the stratosphere, mostly via weather events that mix air vertically. 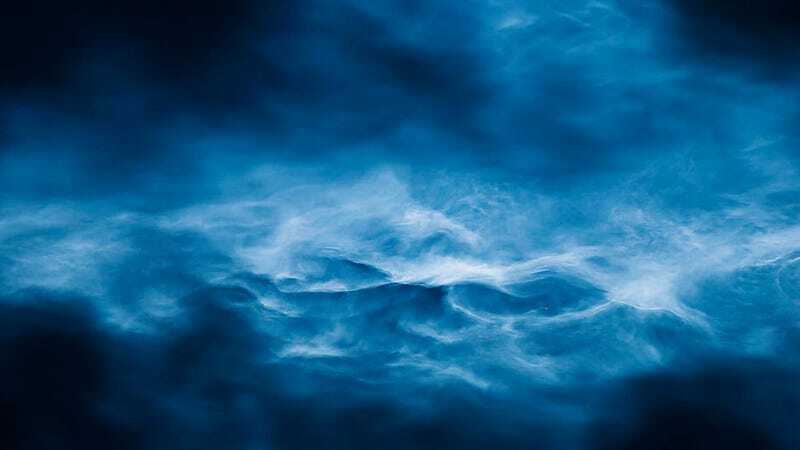 As other regions grow drier, “there’s more possibility to mobilize and aerosolize dust—to get more stuff into the atmosphere in general,” said Christner. Right now, any impact that stratospheric microbes may have isn’t factored into climate change predictions. All of the scientists pointed to the need to better understand what’s in the air above our heads, so that we have a baseline for understanding future changes.